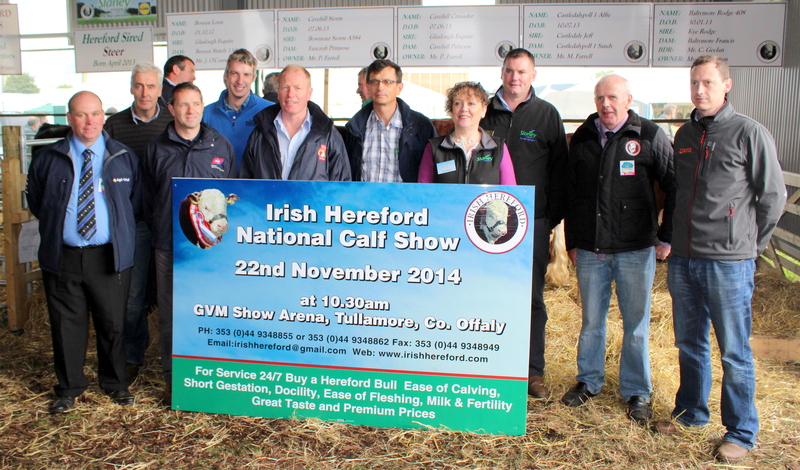 All roads lead to Tullamore for the National Hereford Calf Show on Saturday November 22nd next. The event hosted by the Irish Hereford Society’s North Leinster branch takes place at the GVM Show Arena with judging set to kick off with the Young Handler classes at 10.30am. Well known UK judge Andrew Hughes travels over for the event and welcomes the opportunity to adjudicate on the large entry of 82 animals. Stock from regular show exhibitors will feature alongside those from many newly formed herds which are expected to make their mark and stake a claim to the top positions. This is the first such Hereford event to be held and is made possible through the work a a dedicated organising committee and the generosity of sponsors who have given tremendous support in what are challenging times. A sincere thank you to all involved. This promises to be a very enjoyable day out for all the family and a great opportunity to view the younger Hereford genetics coming on stream.